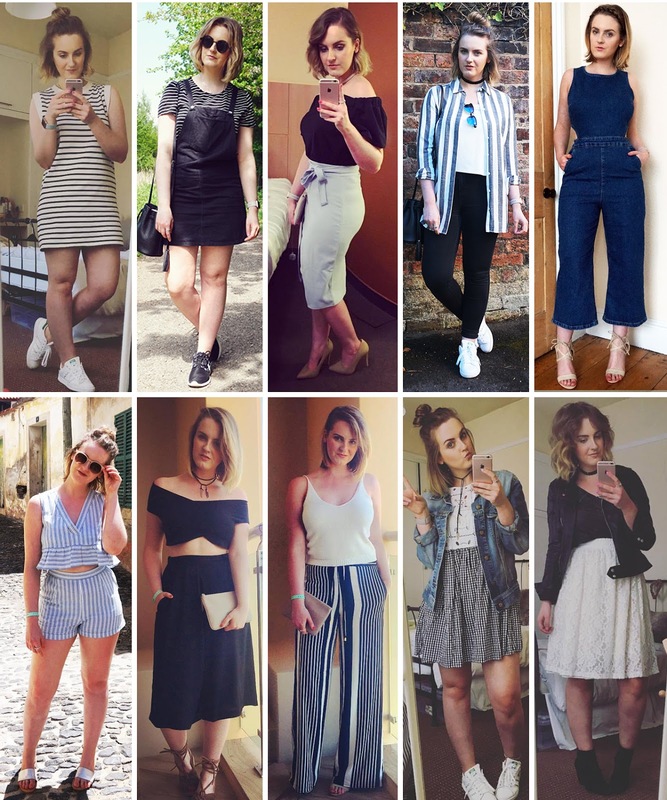 I love doing these year in outfits posts and looking back at how much my style and tastes have changed in just 12 months. This year my blog has gone through a huge overhaul, and the direction has changed to more lifestyle posts and less fashion. That wasn’t out of choice but purely because of timing – Dan takes my outfit photos and we don’t get very many weekends together, so I’m hoping in the New Year with changes to jobs and rotas we will have more days off together! 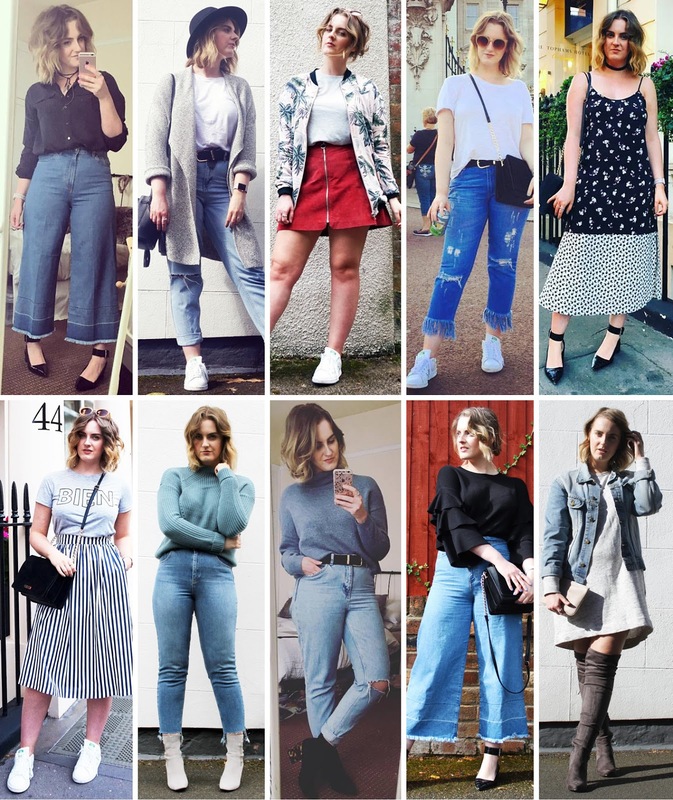 My Instagram page tends to be where I share the majority of my outfits right now, so this year’s look back at my style photos is a mixture of mirror selfies and proper shoots! I think my style has taken more of a casual turn than previous years – I found my huge love for trainers, added even more denim to my wardrobe than ever before, and would choose a comfy sweatshirt, knit or oversized tee over a pretty blouse that I would have previously reached for. I think that’s partly due to the fact that I’ve been really unhappy with my figure so have become prone to wearing looser cuts to disguise the bits I hate, but also because I spend a lot of time ‘dressed up’ at work in heeled boots and nice blouses that I feel like I want to spend my days off in comfy clothes and shoes that don’t require 1,346 blister plasters! Another thing that was different for me this year, is that I decided to stick to a colour palette throughout Autumn and Winter. After the photo of me in the pink bomber jacket and red skirt was when I started dressing in a colour palette of black, white, grey, blue and stone, and I loved it. I think this is where I started to find ‘my’ style and when things started to click in to place. 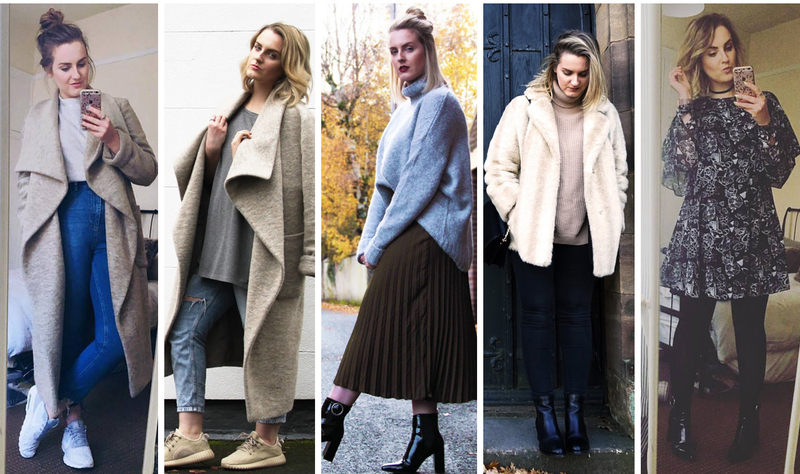 I feel like I’ve found my signature uniform – a (not so) capsule collection of jeans in boyfriend and skinny fits, high necklines, mini dresses, ruffle details, neutral trainers and statement ankle boots – which I mix and match for work or play. I’m going to try and stick to this over the next few months, and have even done a spot of sale shopping sticking to these rules. I’ll probably re-introduce a few other colours as the seasons change and new trends arrive, but I think generally my style has become more grown up, yet relaxed, more recognisable (I’m hearing the words ‘I saw this and thought of you’ a lot more than ever before!) but ultimately more me! 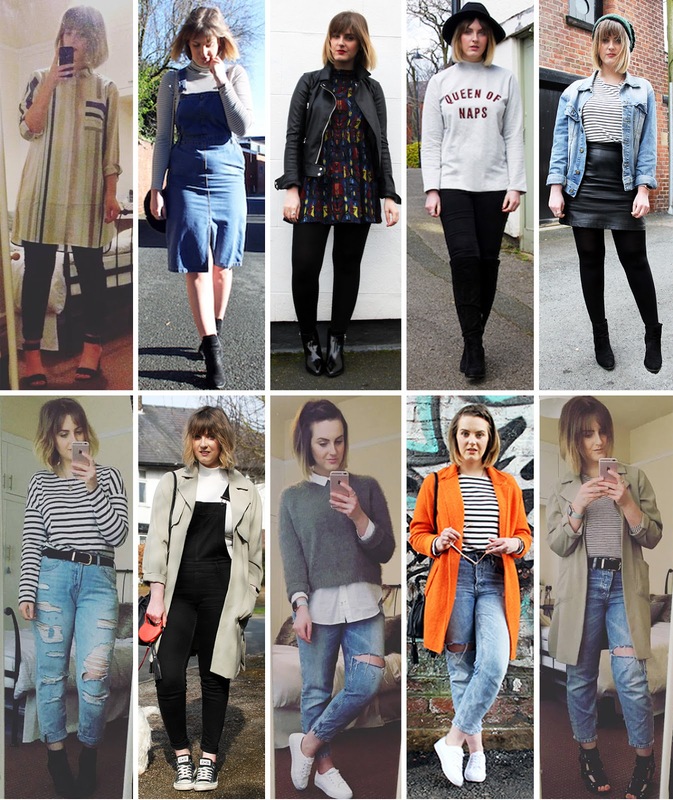 How has your style changed over the past 12 months? Want to look at how mine has evolved over the past few years? Take a look below! "LAST MINUTE CHRISTMAS GIFT IDEAS"